Between 1870 and 1872, the Football Association (FA) organised five representative association football matches between teams representing England and Scotland, all held in London. The first of these matches was held at The Oval on 5 March 1870, and the fifth was on 21 February 1872. 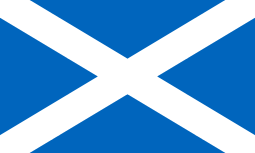 The matches, which were organised by C. W. Alcock, are the precursors to modern international football and referred to as internationals at the time, but are not considered full internationals by FIFA as the players competing in the Scotland team were London-based Scottish players. They were followed by the 1872 match in Glasgow between Scotland and England which is recognised as the first international match. "FOOTBALL. ENGLAND V SCOTLAND. Sir, will you allow me a few lines in your newspaper to notify to Scotch players that a match under the above title will take place in London on Sat 10th inst., according to the rules of the Football Association. It is the object of the committee to select the best elevens at their disposal in the two countries, and I cannot but think that the appearance of some of the more prominent celebrities of football on the northern side of the Tweed  would do much to disseminate a healthy feeling of good fellowship among the contestants and tend to promote a still greater extent the extension of the game..."
The following four matches were held on: 19 November 1870, 25 February 1871, 17 November 1871 and 24 February 1872. All matches were advertised in Scottish newspapers, but the players were drawn from those who played by Football Association rules - still limited at the time and largely consisting of only London-based Scottish players. England were victorious 1–0 in the November 1870 match, 2–1 in the November 1871 match and 1–0 in the February 1872 match; the February 1871 match was drawn 1–1. The only recorded attendance figure known is 650, from the second match. Formation data does not exist from three of the matches, but it is known that in the third and fifth matches both teams lined up with a '1–1–8' formation. "I must join issue with your correspondent in some instances. First, I assert that of whatever the Scotch eleven may have been composed the right to play was open to every Scotchman [Alcock's italics] whether his lines were cast North or South of the Tweed and that if in the face of the invitations publicly given through the columns of leading journals of Scotland the representative eleven consisted chiefly of Anglo-Scotians ... the fault lies on the heads of the players of the north, not on the management who sought the services of all alike impartially. To call the team London Scotchmen contributes nothing. The match was, as announced, to all intents and purposes between England and Scotland". The challenge was eventually taken up by Queen's Park and this match, in 1872 is currently the earliest international football match recognised by FIFA as official international, though at the time it was considered as a continuation of the previous internationals. ↑ "First Elevens: the birth of international football and the men who made it happen". First Elevens: the birth of international football by Andy Mitchell. Andy Mitchell Media. Retrieved 16 May 2013. ↑ Mitchell, Paul. "The first international football match". BBC. Retrieved 19 December 2014. ↑ Mitchell, Andy. "The birth of international football: England v Scotland, 1870". www.lordkinnaird.com (First Lord of Football - the life and times of Arthur, Lord Kinnaird). Retrieved 19 December 2014. ↑ "The birth of international football: England v Scotland, 1870". First Lord of Football - the life and times of Arthur, Lord Kinnaird. www.lordkinnaird.com. Retrieved 24 February 2011. ↑ "England's 20 defining matches". The Guardian. Retrieved 9 June 2012.